Photomontage with Letrafilm and Letraset. 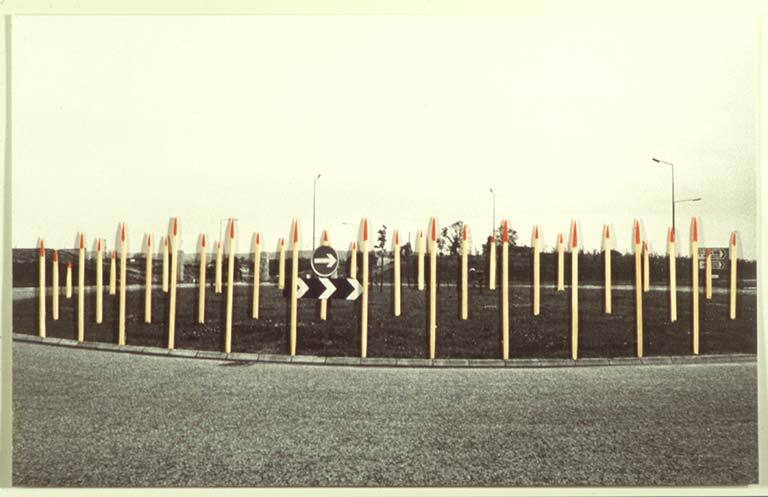 All the proposals Lijn made for roundabout sculptures related to what could be seen driving along roads and motorways. 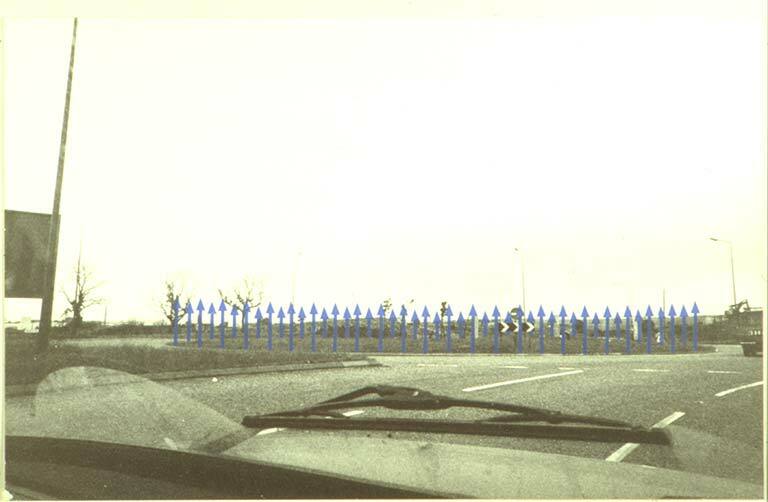 She wanted to use the iconography of the road, widening meaning through change of use and contradiction. 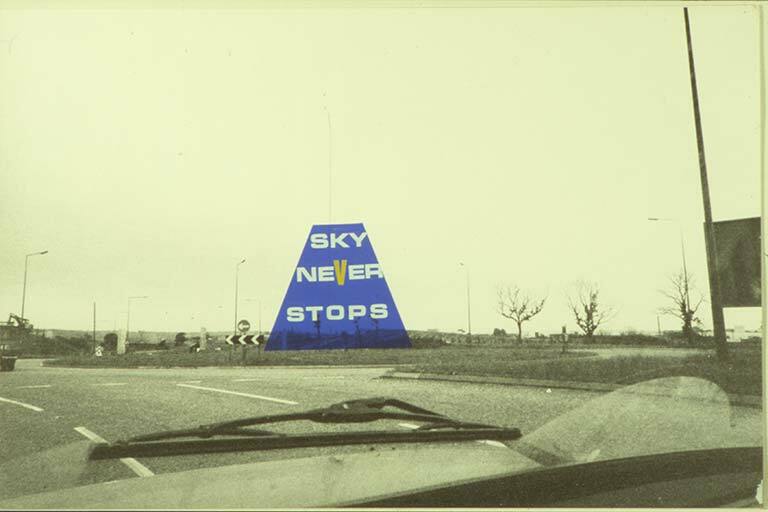 Thus in Sky Never Stops there is a concrete cone ­traffic cones with the word stop used in relation to the word never.